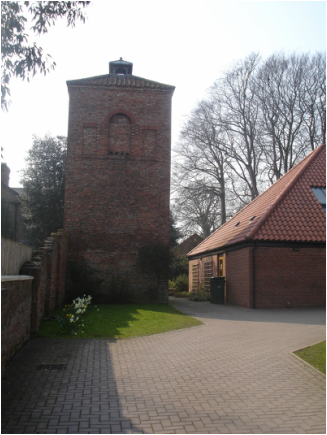 There is a late 18th to early 19th century dovecote near to Main Street in Helperby. The obelisk at Helperby is a war memorial designed by Charles S. Sayer and was constructed by a local firm, E. Moorey and Sons. A classical garden building is in the garden of Helperby Hall.